Whether you want to bike as a way to commute or to relax, you don’t need to own a bike to enjoy a ride in Warsaw. With Warsaw’s growing number of bike lanes and shared bike available, biking is the way to go. So here we go, these are our options in Warsaw. I’m sure you are familiar with Veturilo bikes as you can see it all over the city in the summer months. Veturilo means “vehicle” in Esperanto. The name was chosen among thousands of other suggestions from internet users. To rent a bike is very cheap (it’s actually FREE for the first 20 minutes but you have to pay for registration: 10PLN one-time fee), easy, and you can find them everywhere! You can rent Electric bikes, Standard bikes, Children bikes, and Tandems. To see the price list check the official website. You can also download the app, which allows you to get the bike at the click of a button! Perhaps less known than Veturilo, Acro Bike is a stationless shared bike system. The beauty of this system is that you can pick up and leave the bike anywhere you want – as long as it is locked securely to any eligible public bike parking stand! You’ll be able to locate bikes around you thanks to the GPS installed on each bike. In order to unlock the bike you just have to open the ACRO Bike app, follow the instructions to complete the registration process and turn on Bluetooth of your phone. Then you Press the “Unlock” button and place your phone near the lock, which will open automatically after successful connection. The price is also really affordable: just 1 PLN every 30 minutes! 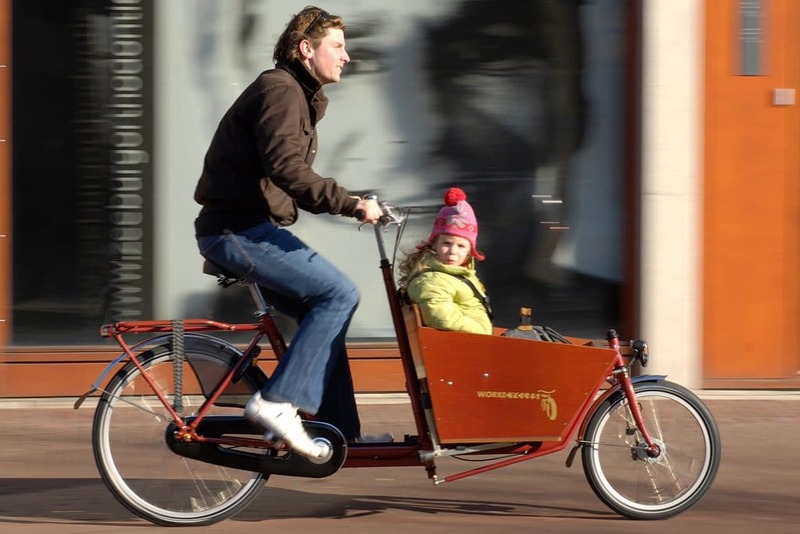 Freight bicycles are widely popular in the Netherlands because they are a great alternative to using a car. If you are going for a big shopping trip, you need to transport your children or you have to move a lot of things quickly – and do not want to use the car – this is really a great option. The space in the load box of transport bikes is huge and you can transport up to 100 kg. There are even special benches for children (4 or 2 places depending on the bicycle model).